Today, Sprint announced the Sprint Magic Box, the “world’s first all-wireless small cell.” That’s wireless network speak for a little box that extends Sprint’s network in places it might struggle to reach and could improve download and uploads speeds “on average by 200 percent.” Not only that, but it might help Sprint build out its network to more customers everywhere with the help of you and I. 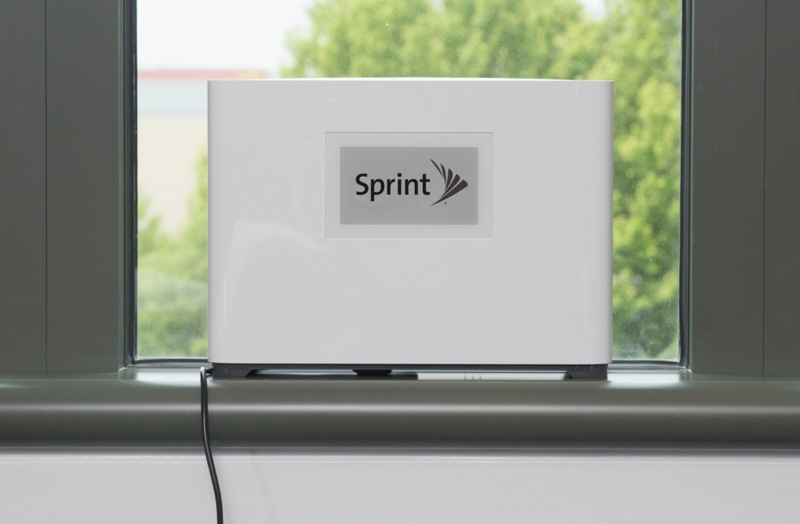 The Sprint Magic Box simply plugs into a wall outlet and is placed near a window to grab ahold of Sprint’s network. From there, you don’t have to set anything up. Sprint says this box is “self-configuring,” is about the “size of a shoebox,” and “requires no implementation, labor, or rental costs” at all. The magic happens by the box auto-connecting to a nearby cell site. A Sprint Magic Box provides up to 30,000 square feet of indoor coverage, while also extending to nearby buildings and within 100 meters outside of a building. So not only does a Magic Box make your personal, nearby network better, it’ll improve Sprint’s network in your area for other Sprint customers. You can imagine that Sprint probably wants hundreds if not thousands of its customers plugging these boxes into their homes. Today’s announcement specifically states that the Spring Magic Box could “greatly” accelerate Sprint’s hope to “densify” their network in the lead-up to 5G. The Magic Box utilizes Sprint’s 2.5GHz spectrum. Sprint has already started deploying Magic Boxes in Denver, San Francisco, Indianapolis, New York, Chicago, and Houston. To learn more, you can head over to Sprint’s Magic Box site and even put in a pre-order.